Val Carman, Ypres, Belgium, November 9-11. Photo: Jane Wilcox. Two Massey University researchers are part of official centenary commemorations in northern France and Belgium that mark key events in the final week of World War I. 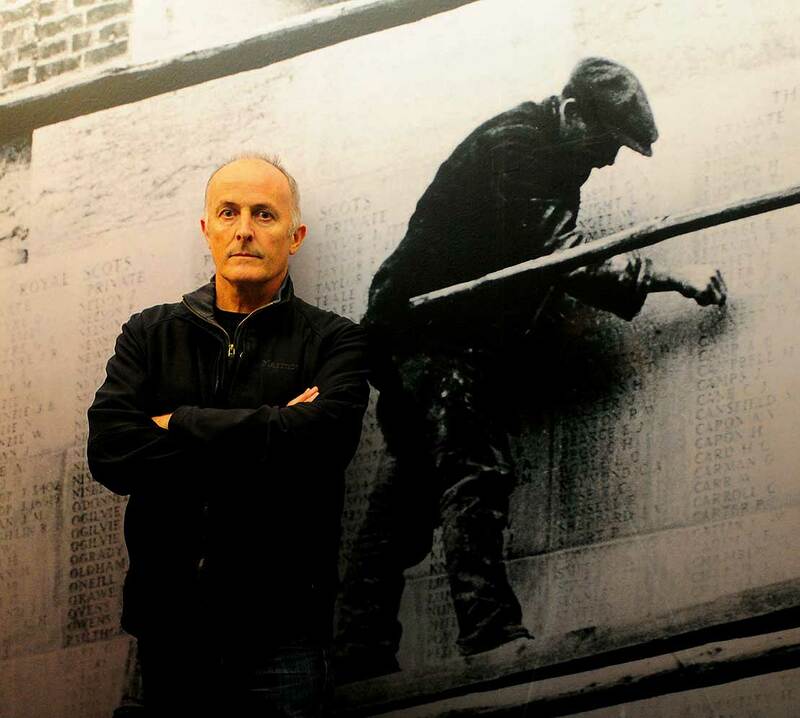 Professor Kingsley Baird from Whiti o Rehua School of Art, who designed New Zealand’s Tomb of the Unknown Warrior in Wellington, has been invited to provide New Zealand’s contribution to an international memorial chair project, while senior lecturer at Ngā Pae Māhutonga School of Design Euan Robertson will be providing original musical contributions to the commemorations. 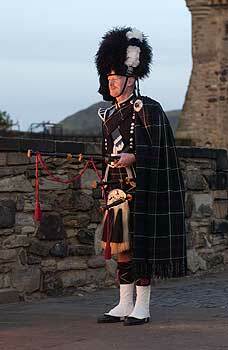 Mr Robertson, an accomplished bagpiper, has been invited on November 4 to perform two self-composed pieces including The Liberation of Le Quesnoy at the official commemoration of the town’s liberation 100 years after New Zealand soldiers successfully stormed its fortified walls taking the German occupiers prisoner. He will then lead a procession of dignitaries with a more contemporary upbeat march tune Marching up Rue Nouvelle Zelandé to a ceremony at the New Zealand battle memorial located in the town’s fortified wall. By coincidence, his great-uncle Alexander Fraser, who like Mr Robertson taught at a forerunner institution to the School of Design, the Wellington Technical College, designed the memorial. “I was completely unaware of the connection till recent times,” Mr Robertson says. Alexander Fraser was born in Scotland and emigrated to New Zealand in 1901, the same year he started at the School of Design. Sometime between 1909 and 1916, he left for Europe. 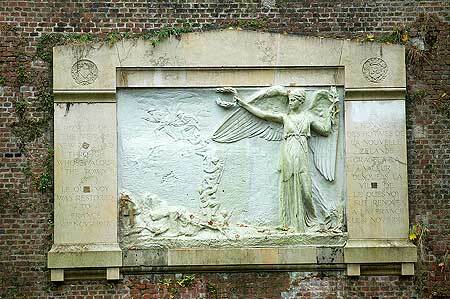 He was in London in 1922 when he was commissioned to design the memorial which features a relief of the soldiers climbing the town’s fortified wall and the figure of Peace to one side watching on. Five nights later on November 9 Mr Robertson will be at the Menin Gate, Ypres, to perform original compositions commemorating the war. These include A Coronach (lament) to the missing, which explores the tension and mourning of all Allied soldiers with no known graves, whose names are etched on the Menin Gate but in particular the New Zealand troops lost during the Passchendaele battle. Two separate tunes are both titled A Waiata to Corporal James Robertson; one is a slow air that explores the story of a young soldier who never returned home and is forever lost in Flanders fields, while the final tune is more upbeat and Mr Robertson says celebrates a family connection. The sorrowful reflection of the occasions will also be expressed in his march leading commemorations at Le Quesnoy. Mr Robertson will be dressed in a traditional Highland piper’s regalia, with all the trimmings and features such as buckles and sporran dyed in black. He also has a black head covering and has made a black mask too. His appearance in such battledress continues a strong family tradition. His father fought in Italy in World War II, great-uncles fought at Gallipoli and on the Somme, while both of his great-grandfathers were involved with the Indian mutiny of the 1860s while one also served in the New Zealand Wars. Both Mr Robertson and Professor Baird, who are part of Massey’s College of Creative Arts, will be presenting papers at a conference in Le Quesnoy commemorating the liberation and acknowledging the long-standing ties the event forged between New Zealand and France. At Ypres, Professor Baird will exhibit an artwork From the Uttermost Ends of the Earth (The Great Adventure)as New Zealand’s contribution to the Memorial Chairs exhibition, which features a selection of chairs from more than 120 countries representing the homelands of those who died in Belgium during World War I will be displayed. His New Zealand contribution is a custom-built deck chair (made from rimu and oak with bronze fittings, including a New Zealand Army uniform button ‘bolt’ head and pīwakawaka (fantail) nut. The pīwakawaka is sometimes considered a symbol of death in Māori culture. Another feature of the chair is the absence of the cloth seat reflecting the absence of so many who paid the ultimate sacrifice for their country. The deck chair sculpture takes the first part of its name from words carved into New Zealand battlefield memorials, such as the tall, stone obelisk at s’ Gravenstafel. The memorial located near Ieper (Ypres), honours the men of the New Zealand Division who fought at the battle of Broodseinde in early October 1917. The words, ‘From the Uttermost Ends of the Earth,’ refer to the distance travelled by New Zealand servicemen to take part in World War I. “Some set out from their homeland with ‘a great adventure’ in mind”, Professor Baird says. 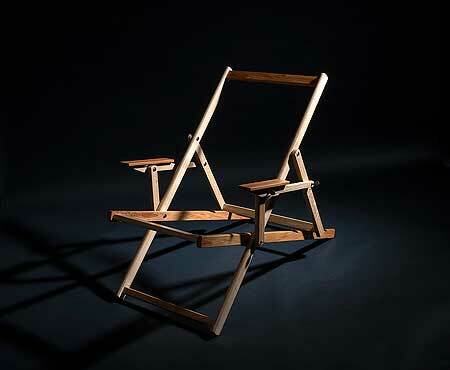 “The deck chair might evoke travel and adventure, leisure and relaxation and the exotic – a world away from the horrible reality of the West Flanders front,” he says. The materials it is built from –native rimu and exotic oak – references the origins of many New Zealand soldiers; the native rimu timber and oak. The latter timber is evocative of the Mother Country and Empire. Professor Baird was selected to design the exhibit at the invitation of In Flanders Fields Museum in Ypres where he was artist–in–residence in 2007. The museum hosts the Memorial Chairs exhibition from November 9 to November 11 – the centenary of Armistice Day. While in Europe, he and Mr Robertson will also have meetings at other war and military museums in Belgium, northern France and London in their roles as steering group members of the Massey-based War History Heritage Art and Memory (WHAM) research network. WHAM is an international research community developed to promote multi-and interdisciplinary research on war and peace at the intersection of history, heritage, art and memory.